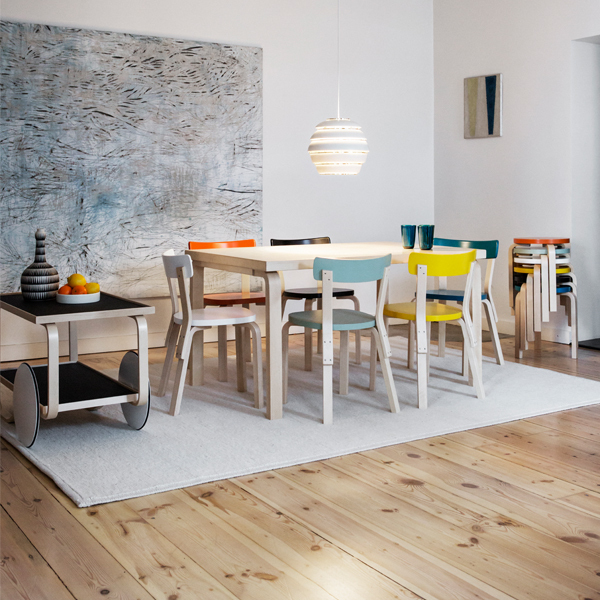 Artek’s Aalto chair 69 is a design classic by Alvar Aalto from 1935. 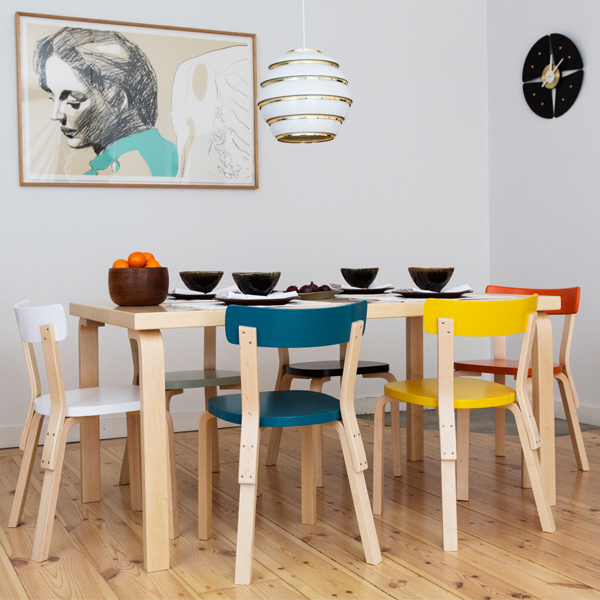 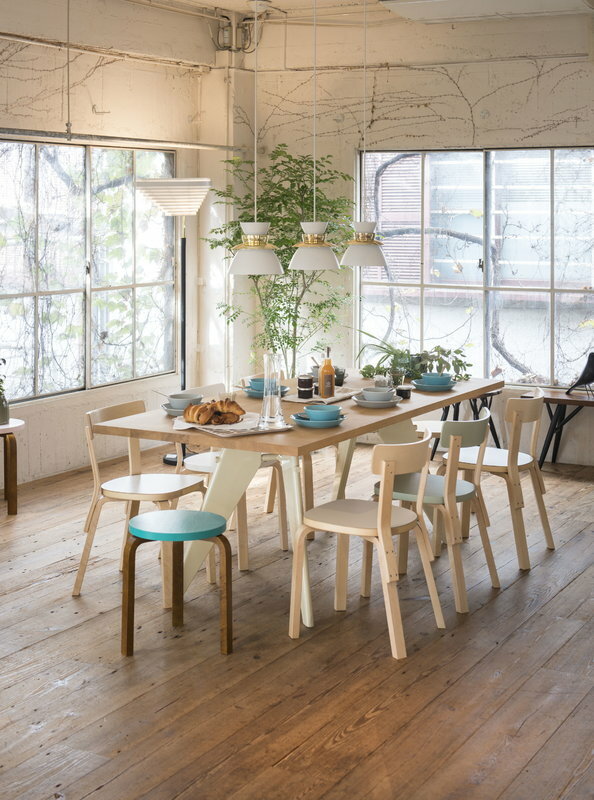 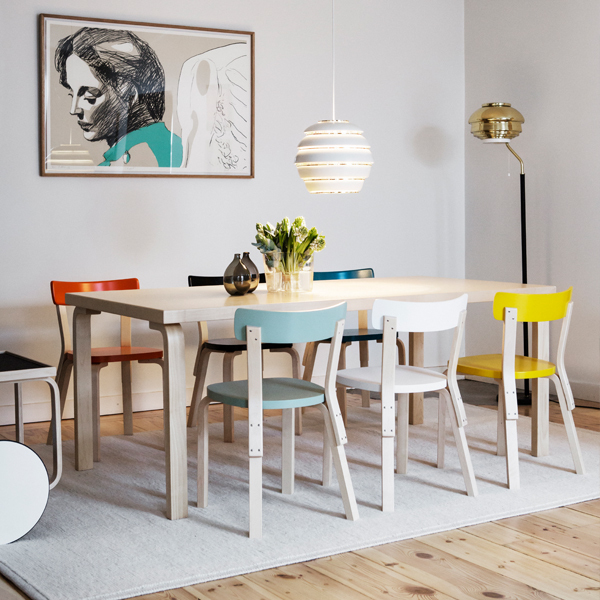 Chair 69 is one of Aalto’s best known dining chairs, and its vivid character suits easily any room of the house. 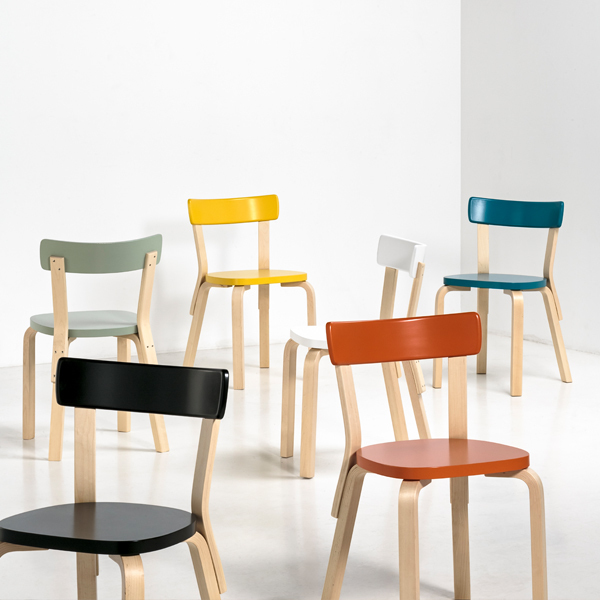 The chair uses Aalto’s L-leg structure, which allows the legs to be attached directly to the seat. 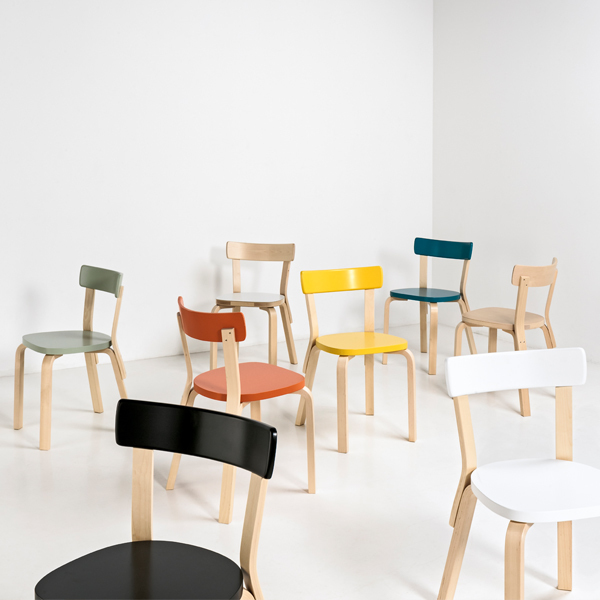 Chair 69 was originally designed for the Viipuri Municipal Library – besides planning the building itself, Alvar Aalto also designed the interior, lamps and furniture, including the chair 69. 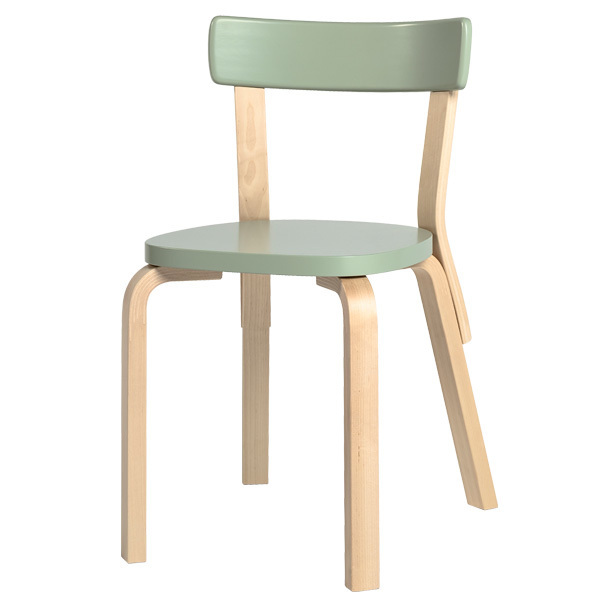 The wide seat and backrest provide superior stability and everyday function for various different situations. 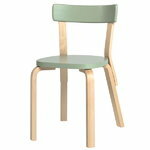 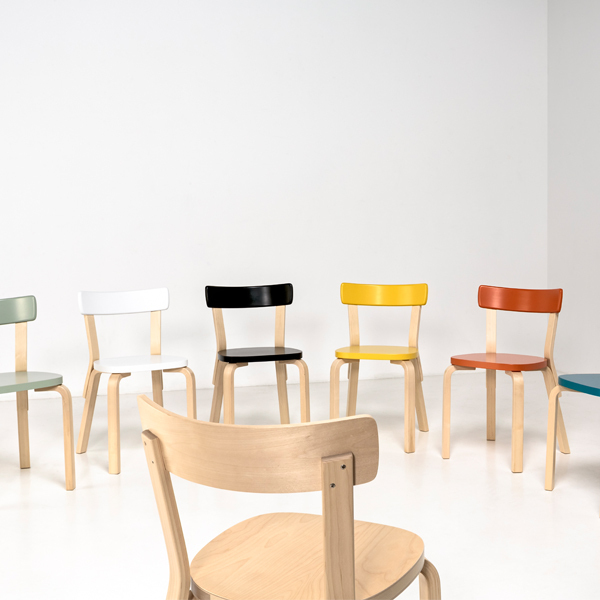 The colours of the chair 69 are borrowed directly from Aalto’s Paimio Sanatorium: the yellow from the floors, the green from the walls, and the orange, white and black from the furniture.